Oyster Card if you’ve already arrived. You can also get a visitor Oyster card mailed to you if you want it set up before you land – Visitor Oyster Card. You will pay postage to mail it to you, but it’s otherwise the same price as buying it locally. There is a £5 deposit that you can get back if you turn it back in. Everyone 11 years and up would need their own Oyster card. Oyster cards cap your daily travel fee automatically. Zone 1 is where almost all the tourist stuff is, though you can travel through Zone 1 and Zone 2 for the same price. (Harry Potter studios and the airports are exceptions for when you’ll travel into further out zones.) Here’s info on the daily cap, the most you will pay for riding however much you want in those set zones – Daily Caps. 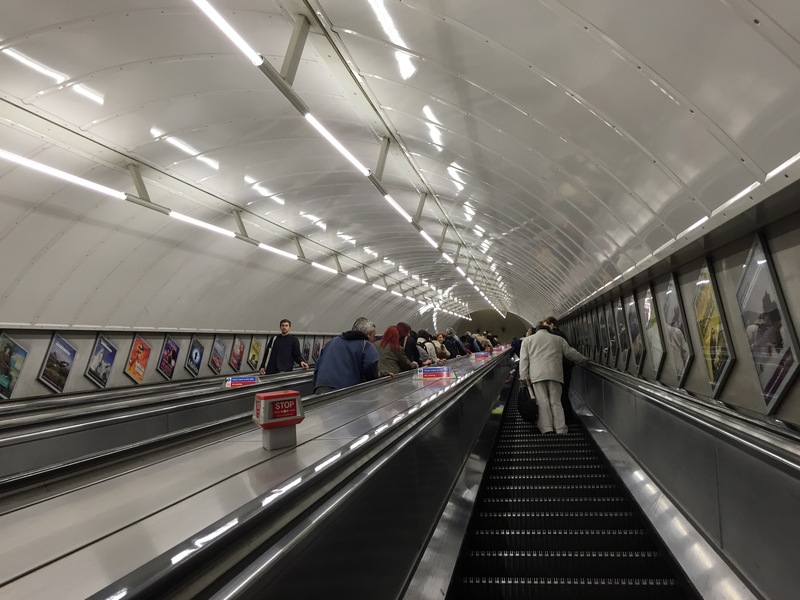 Underground rides are more than buses, so if you only ride buses your daily cap is lower. AND, remember that kids 15 and under are free on buses, but 11+ pays for the underground. The bus routes are slower than the underground, but in exchange for the leisurely journey you do get the views of the city. Travel with kids in London info is on this site. Currently kids 10 and under are free on buses and underground, there’s a wide gate at the entrance points for the underground where an attendant will let your kids through while the adults scan their cards. Kids 15 and under are free on buses, half price on underground. Kids 16-17 are half price on bus and underground. Confused? I know… Just remember 10 and under always free, 15 and under pay for underground but NOT bus, 16 and up pay for everything. To get the half price for 11-17 year olds you need to have their Oyster card set up as a “youth” discount, which can be done by an attendant at the automated machines in the underground stations (including at the airport and train station underground connections.) Just ask the attendant and they’ll ask how long you’re in the city, they can only do the discount for 2 weeks at a time. An alternative to the Oyster card is using any contactless card/device you have for the same daily cap option. This can be done with an Apple watch, iPhone, or credit/debit card set up with contactless payments. Tube Map PDF if you want to check it out in advance. Remember you’re probably staying inside the inner bit, Zone 1. Exceptions being Watford Junction (top left) for Harry Potter studios is Zone 8. Heathrow (bottom left) is Zone 6. You can download the TfL (Transport for London) app for your phone in advance and it’s very handy! There is a separate app for their buses, which you will definitely want as bus routes are much more complicated (and plentiful) than the underground routes. 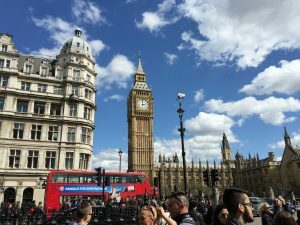 There are plenty of open top tourist bus options, but you can catch a really fun little “tour” of major London spots on their city buses for a standard fee, instead of the special tour ticket buses. Here are some of those routes – Top 3 London City Bus Routes.